This year's Product of the Year winners, which are drawn from 26 diverse FMCG categories, highlight the value of developing new products on the basis of deep customer insight. Spoiled by multi-tasking smartphones, internet-enabled TVs and games consoles that help us work out, it was only a matter of time before we started demanding multi-functionality from our toiletries. Research carried out by the Product of the Year Awards and TNS has highlighted the rise of "hyper­convenience" products, as busy consumers look for items that can help them save more time and cut corners. 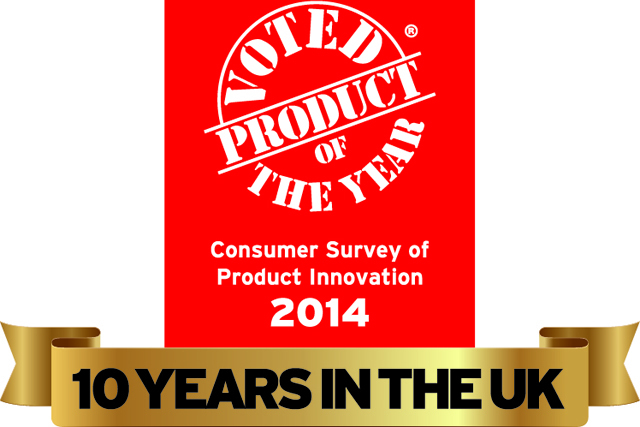 One look at 2014’s Product of the Year winners reveals that brands have met the challenge, developing innovative products to meet the ever-evolving demands of today’s consumer. Time-saving goods such as all-in-one lasagne kits and the first in-shower body moisturiser are among this year’s winners, in addition to low-calorie product variants marketed to an increasingly health-conscious consumer base. It’s an often-repeated statistic that 90% of product launches fail. So how did these brands not only distinguish themselves in the crowded FMCG market, but create products that resonate with the consumer? Through a careful strategy of innovation and product quality, based on customer insight. In a market where even trusted products need to reinvent them­selves to remain in consumers’ minds, clear understand­ing of the target audience’s needs and how best to meet them is the only way for brands to stay ahead. It’s a given that product launches need to be based on a response to consumer needs. But to enjoy longevity, brands need not only to gain insight into the current shopper mindset, but also look at developing trends, to get products on the shelves before shoppers are even aware they need them. Beiersdorf’s Nivea In-Shower Body Moisturiser, winner of the Moisturiser category this year, acted on the insight that with less time on their hands, now more than ever, consumers are looking for products that can perform multiple tasks in a single use. This product’s instantly absorbed formula moisturises in the shower, thereby eliminating an entire step in what is for many a daily routine. Similarly, Procter & Gamble saw a way to address the demand for greater convenience by creating a hair-thickening treatment that doesn’t need to be rinsed off. "Our whole business model is centred on really under­standing consumers’ needs and desires, then innovating to meet them better than anyone else," says Roisin Donnelly, corporate marketing director, P&G UK and Ireland. "We’ll launch a new product only when we’re sure it provides a genuinely improved consumer experience." Refining a product is an easy enough starting point, but truly innovative brands will look at the product as a whole – its target audience, consumer needs and behaviours, how the market operates and how the product is packaged. In other words, they will think outside the box, but also about it. Oral-B Pro-Expert All-Around Protection won the toothpaste category, picked by judges for its unprecedented results in clinical trials. This marks the first time that stannous fluoride in a toothpaste has been stabilised, giving it expert accreditation trusted by increasingly health-conscious consumers. With this, P&G tapped in to a key trend and cleverly made the product stand out from others on the market. The toothpaste’s sister product, the Oral-B Professional Care 600 White & Clean power toothbrush, won this year’s Electric Toothbrush category. TNS’ research has revealed several consist­ent new trends in UK demo­graphics, and brands sensitive to their custom­ers will already be developing their products around these – not only in terms of quality, but functionality. For example, TNS predicts that the ageing UK population will influence product design, through features such as easy-grip packaging, bigger text and spring-loaded sprays that can be activated with a weaker grip. FMCG marketers are expected to respond to changing household dynamics by adopting more gender-neutral advertising now that a quarter of UK women are the main household earner, a figure that is set only to increase. This could lead them to promote food products on their protein content rather than calorie count, and place an emphasis on cleaning products’ technical credentials. "Brands will need to adapt to the changing face of the UK consumer to stay ahead of the curve," says Product of the Year chief executive Mike Nolan. "Standing still or following others is no longer an option." Colin Moyer, UK head of innovation and product development at TNS, says that, looking to the future, successful brands will be the ones that simplify function­ality rather than introduce impressive but complicated new technology. For example, brands may look to develop packaging that can interact with smart fridges to update an online shopping basket. The EU recently passed legislation allowing "laser branding" on fruit and vegetable skins; innovative brands could look to exploit this by expanding it to QR codes or barcodes that can be scanned via a smartphone to give more information or find recipes that use other offerings from the company. Brands seeking to cash in on trends like this need to look at what they are producing and for whom, so as to produce the best-quality products that directly meet the needs of their target consumer, adds Nolan. the best chance of success." In response to heightening consumer demand for low-sugar, low-calorie beverages, Tropicana created the Tropicana Trop50 fruit drink, using the plant-based sweetener Stevia to cut 50% of Tropicana’s sugar content without compromising flavour. "Our insights showed us that there was a real demand in the UK for a lower-calorie juice," says Adrian Baty, marketing director, juice, at PepsiCo. "Trop50 delivers an exciting new option to people looking for the refreshing, natural taste of juice with 50% less sugar and fewer calories." By creating a low-sugar alternative while sticking to the brand’s ethos of not using artificial sweeteners, colours or flavours in its products, Tropicana successfully marketed itself to an increasingly health-conscious audience.